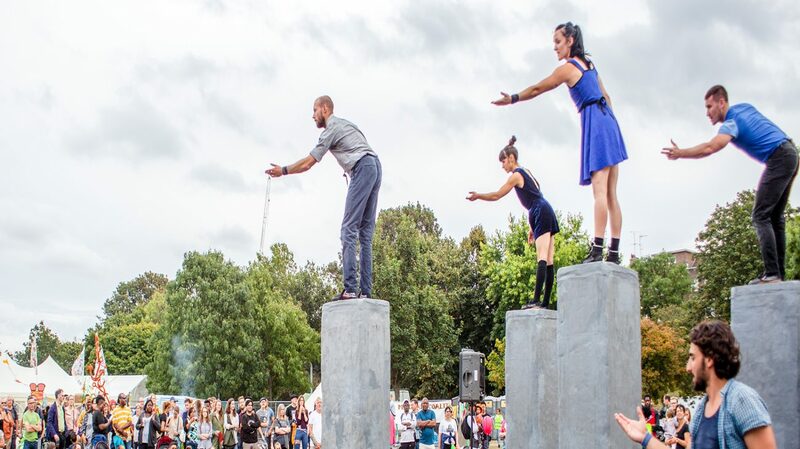 We present a huge range of events and participation opportunities each year, across artforms and for all ages and most tastes. We lead and host the Family Arts Campaign– a national Sector Support Organisation funded by Arts Council England to raise family engagement with arts and culture. We are home to Fun Palaces – an ongoing campaign for cultural democracy, with an annual weekend of action every October – and provide their accounting and finance support. 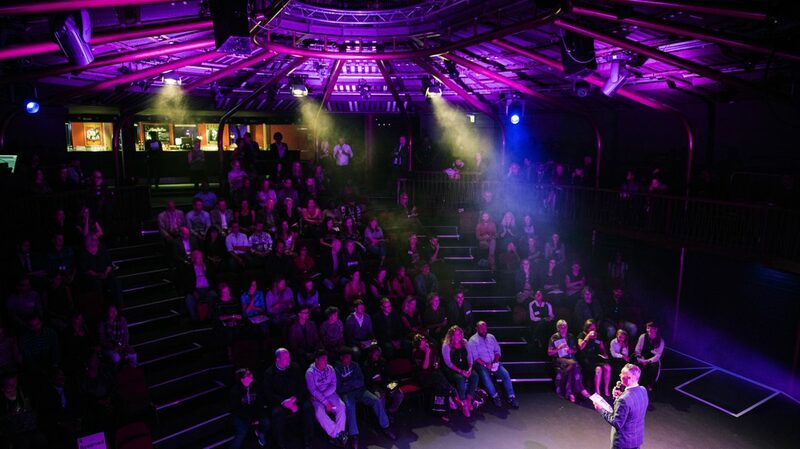 The Albany building has four performance spaces, including its unique central performance space, with a capacity of 300 seated and 500 for standing events. Our other facilities include a café bar, rehearsal and meeting rooms, community garden, and office space for creative and community businesses. On behalf of Lewisham Council, the Albany manages and programmes the Deptford Lounge, a cultural and community hub, which includes a library, galleries, and a range of community facilities shared with Tidemill School. 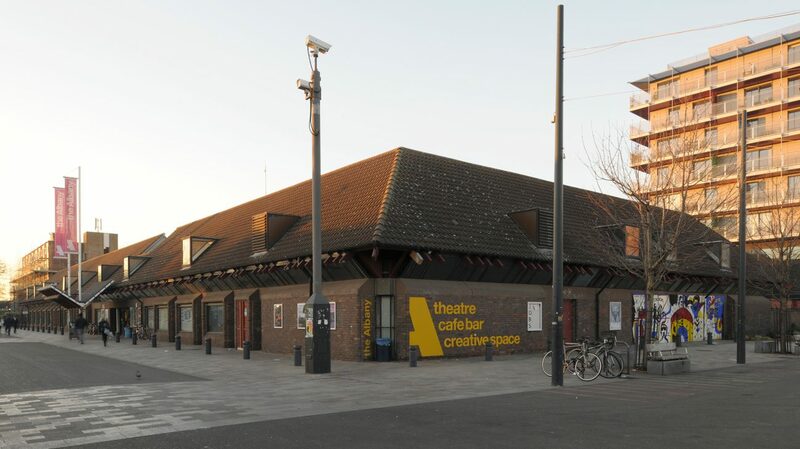 On behalf of Southwark Council, the Albany manages and programmes the Canada Water Theatre comprising a 150-seat theatre and six education and meeting spaces at Canada Water Library. We are a registered charity and a social enterprise, earning 60% of our own income which we reinvest in our programmes.  We are thankful and proud to be core funded by Arts Council England and Lewisham Council. The Albany’s work was been recognised with a number of awards in the last 2 years including the first Hearts for Arts Award from the National Campaign for the Arts (Spring 2017), awarded to Meet Me at the Albany for its contribution to social cohesion in Lewisham; Best Social Enterprise at the Mayor of Lewisham Business Awards 2017; the Outstanding Attitude Award for innovation in access; the Time Out Love London Award for local culture (2017 and 2018); and the London Youth Award for arts and culture 2018 for Love2Dance. 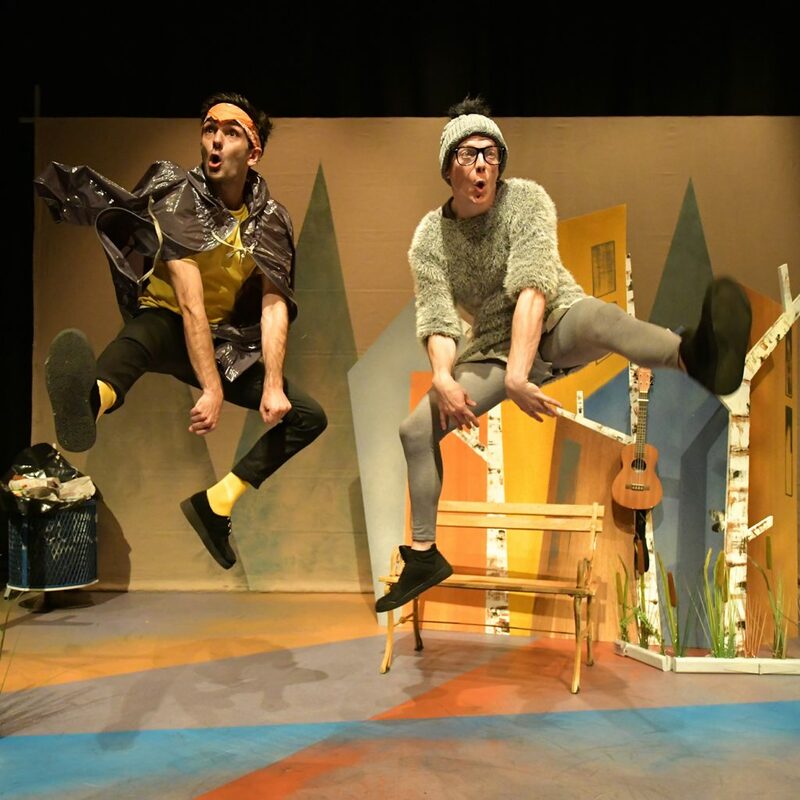 Top image from tutti frutti productions and York Theatre Royal’s Ugly Duckling. Photo Brian Slater. We’re always looking for ways to cut our carbon emissions. That’s why 75% of our suppliers are within the Greater London area and 65% of those within South East London. 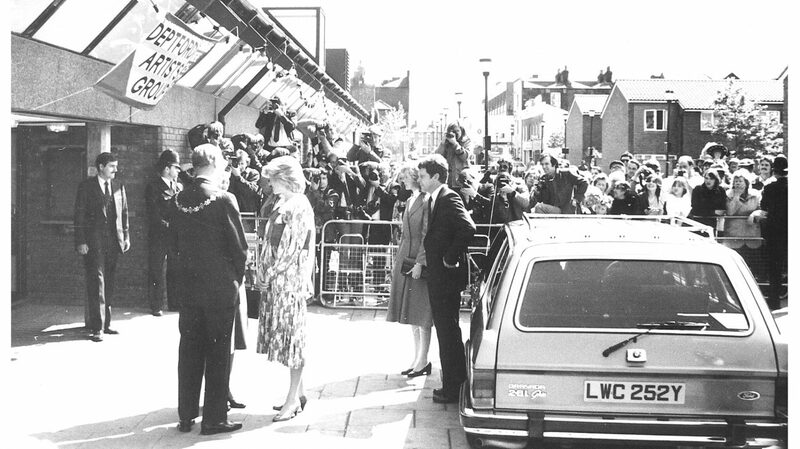 Find out more about the Albany and Deptford’s past and how it’s informing our future, or browse our archive of past events and projects. The place for all things Albany - our latest news and views from staff, resident organisations, participants and artists. The Albany is home to a diverse range of creative and community organisations – click through for more information on our Residents.